During the 2014-15 academic year, the Food Law and Policy Clinic helped to staff the inaugural Harvard i-Lab Deans’ Food System Challenge. Each year the Harvard Innovation Lab (i-lab), a cross-University resource serving Harvard students interested in innovation and entrepreneurship, organizes a series of Dean’s Challenges that encourage students from across the university to develop innovative solutions to pressing social issues. 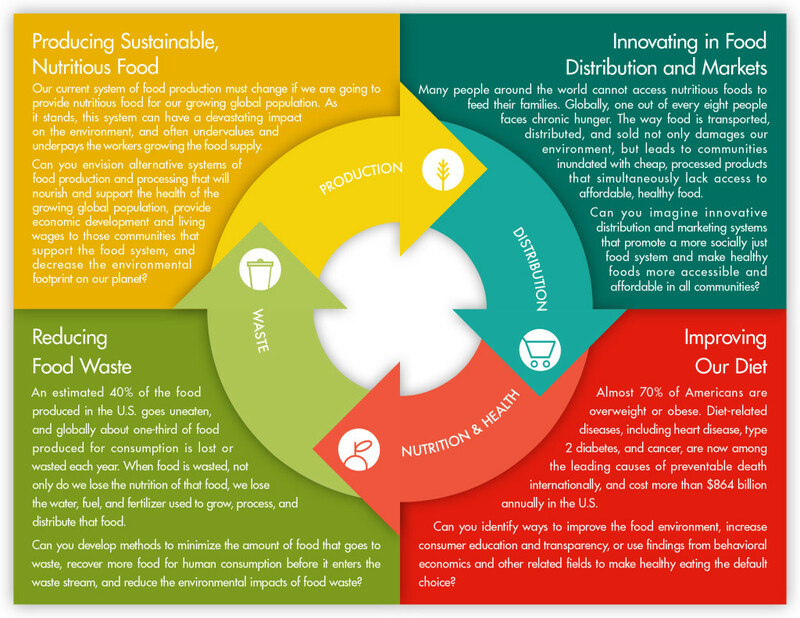 The Deans’ Food System Challenge invited creative and entrepreneurial students to develop innovative ideas to make the food system healthier, more sustainable, and more equitable, both in the United States and around the world. This Deans’ Challenge was co-sponsored by Dean Martha Minow, Harvard Law School and Dean Julio Frenk, Harvard T.H. Chan School of Public Health. 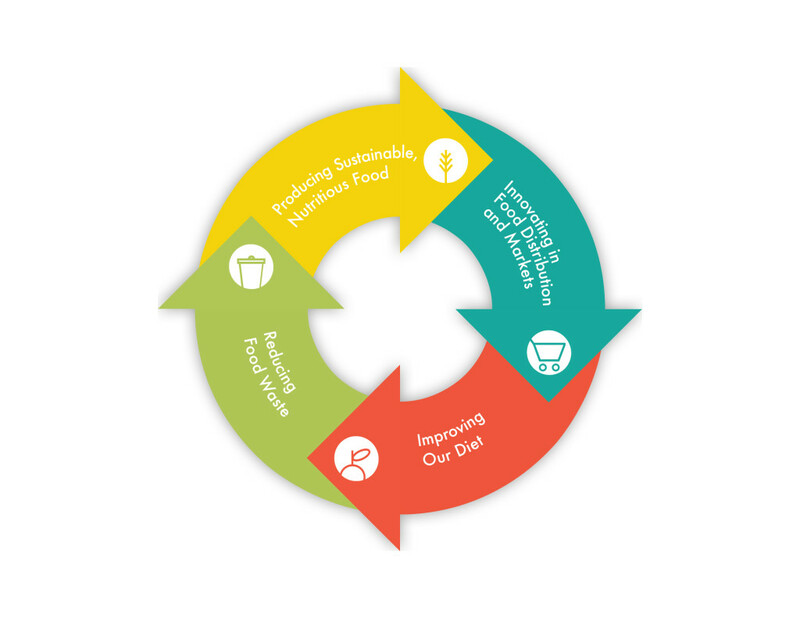 The Harvard Food Law and Policy Clinic worked with the i-lab and an interdisciplinary planning team to organize the Challenge and raise awareness in the Harvard community about the importance of improving the food system. Teams must include at least one matriculated and degree-seeking undergraduate or graduate Harvard student, postdoctoral fellow, or clinical fellow who serves in a leadership role. Preliminary proposals were due in February 2015, and then five finalist teams were invited to incubate their ideas throughout the spring at the i-lab. The winners were announced and received a larger cash prize in May 2015. 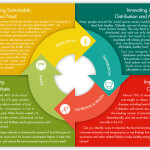 To raise awareness about food systems issues and inspire students to participate in the Challenge, FLPC partnered with the Harvard Sustainability Office, Harvard University Dining Services, and Harvard Food Literacy Project to host a university-wide Food Better campaign that includes events focused on food system issues hosted across the University. See an updated list of Food Better events here. The Deans’ Food System Challenge team partnered with the HBS Digital Initiative to create an online platform that gives students, professors, alumni and food system experts a chance to brainstorm, collaborate, and innovate together. The first phase of the Open Forum encouraged everyone to share anecdotes, data, research, and questions that illuminate the problems with the food system. This dialogue was intended to help students form venture ideas that address these problems. As the teams began to form, Open Forum participants had a chance to share input and ideas and help hone the teams’ proposals. This collaboration and dialogue aimed to strengthen Challenge proposals as well as build a community of innovative thinkers in this field. Anyone can contribute to the Open Forum and doing so does not constitute an official application to the challenge.